COLUMBUS, Ohio (AP) — The scandal-scarred Ohio House, after weeks of impasse, on Wednesday chose the favored successor to Republican former Speaker Cliff Rosenberger to lead it through the end of the year. Republican House Finance Chairman Ryan Smith prevailed in a dramatic 11 rounds of floor voting in which he was unable to win a majority but got more votes than any other candidate. The win to fulfill Rosenberger’s unexpired term could better position Ryan in the brewing speaker fight against Republican former Speaker Larry Householder for next session. In nominating Smith, Republican Rep. Robert Cupp, a former state Supreme Court justice, said he had the track record to lead. Speakers hold powerful sway over which bills are advanced into law in the state and which ones die unceremonious deaths. Lawmakers supported Smith over Householder’s choice, term-limited state Rep. Andy Thompson, and a surprise 11th-hour addition to the race, Columbus-area Rep. Jim Hughes, both Republicans. Thompson, a conservative from Marietta, pitched himself as a neutral placeholder who could restore normalcy and integrity to the chamber following Rosenberger’s sudden departure. Householder supported Thompson in early voting and later switched his vote to Hughes. Rosenberger resigned last month amid an FBI inquiry into his travel, his lavish lifestyle and a condo he rented from a wealthy GOP donor. He has said all of his actions were legal but he was resigning because the federal investigation would take time to resolve and could become a distraction. Republican caucus members had failed to agree on a replacement that could win the 50 votes required by No. 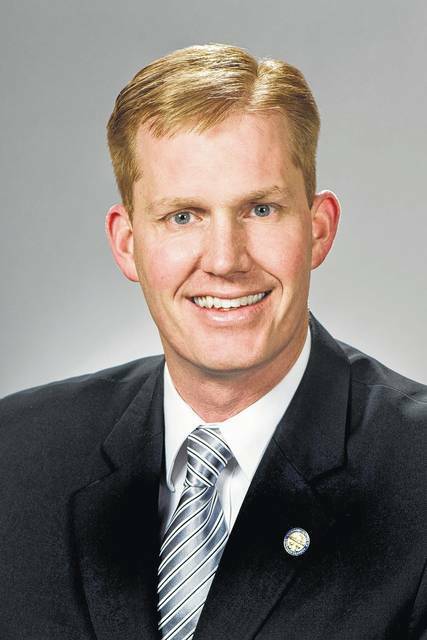 2 Rep. Kirk Schuring, who’s been leading the chamber since Rosenberger’s departure. Thompson, a publisher and former city councilman, made his pitch to fellow Republicans using a Beatles comparison. He told caucus members he’d follow the House’s fractious “Let It Be” period under Rosenberger with a transcendent “Abbey Road” finish. The iconic rockers were notoriously divided while recording “Let It Be,” recorded before but released after “Abbey Road,” considered one of the band’s greatest albums. Hughes is a freshman House member this term but is a longtime politician, having served in the House in the early 2000s and in the state Senate later. Lawmaking in the state had been at a standstill for weeks, as House Republicans sparred over who should succeed Rosenberger. Federal agents searched Rosenberger’s home and storage unit on May 23 in a probe that’s believed to center on the money and influence behind his international travel and lavish lifestyle. Rosenberger says he has broken no laws. Rosenberger’s departure left Schuring in charge of the chamber but unable under House rules to pass any bills. Among measures stalled as a result are payday lending regulations, money for voting machines and a proposal that would streamline access to hunting and fishing licenses.